Be socially adept in your dress and body language. Dress simply and appropriately, one step above the average teen. Guys can wear khakis or dress pants and a collared shirt. Girls can wear dressy slacks or a skirt/dress that is long enough to be comfortable when they sit down. Hair should be out of your face. Tie it back if it distracts you (i.e. if you are constantly pushing your bangs out of your eyes) or you are tempted to play with it when nervous. Don’t wear noisy jewelry. Be aware of your body language. Sit forward in your seat to show you are engaged. Don’t cross your arms as this can be read as defiance or that you are erecting a shield to protect yourself. Stay in tune with your interviewer – watch their face and wrap up your answer if they are growing weary or want to move on. Always quit BEFORE their eyes glaze over. Smile! It is okay to laugh or pause for a few seconds to ponder an answer. It is fine to ask for clarification on a few questions. Probably more than anything else, interviewers want to know that students are comfortable in their skin. Exude confidence without being arrogant! 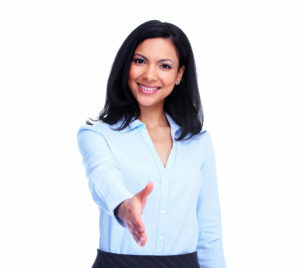 Be thoroughly familiar with your resume and be prepared to discuss anything on it in a winsome (not bragging) manner. If you interview in person, have a copy of your resume in a folder on your lap. Ask the interviewer if they would like it. If they don’t, just leave it in the folder. Show your interviewer that you truly enjoy the things you have participated in. Your passion for your favorite activities should light up your eyes and cause enthusiasm in your voice. Real enthusiasm can’t be faked. You prepared for the SAT. You also need to prepare for interviews. It takes some time to become good at answering interview questions, so start to basic interview inquiries early. Practice with your friends who are applying to college and interview each other. Likely will have similar mistakes and can help each other see them. Practice with adults. They have more life experience and can tell you how another adult interviewer will perceive your answers. What does your face look like when asked a tough question? Do you play with your hair if under stress? Do you laugh and smile? Become very familiar with each specific college that grants you an interview. Understand the atmosphere and values of each institution and take that into account in your answers. If you are interviewing with an alumnus of the institution, find out anything you can about them – occupation, favorite projects, their college major. Look for common ground to break the ice. If you are interviewing for a scholarship, learn about past recipients and try to identify what the interviewers are looking for. Research the goals of the scholarship and be prepared to discuss how you fit and what you can contribute. Colleges are looking for thoughtful students; those that are mature enough to have evaluated themselves, their lives, their contributions, and their future. Why do you do what you do with your life? What are your triumphs and failures? Polish your skills of being Aware, Comfortable, Confident, Earnest, Prepared, and Thoughtful, and your interviewer will want to recommend that the college A.C.C.E.P.T. you!